Since 2008 the Grech family has put all their care and attention into providing a warm and welcoming place for travellers and locals alike enjoying honest Gozitan food. Our menu offers a wide variety of freshly made salads, delicious pasta dishes, traditional local main courses like Rabbit stew and Bragioli, freshly baked Pizza’s and mouth watering Deserts. 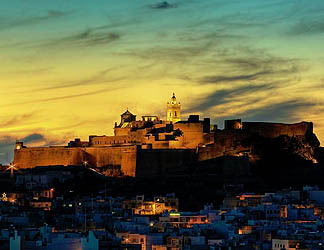 Most of the dishes are traditionally continental Maltese and above all, Gozitan. Our cosy and rustic restaurant is ideally located right in the heart of Gozo overlooking the central square of Victoria: IT-TOKK. 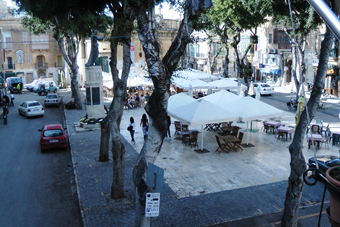 While we pamper you with our mouth-watering dishes, served with a smile, you can enjoy the view over the hustle and bustle of the market place in Gozo’s capital city Victoria. A daily selection of freshly caught fish and other specialities are delivered every morning. Tokk website is now live!